Welcome aboard to new enlistees, I look forward to seeing how your projects progress. I still haven't decided exactly what I will build. There are a number of kits in the pile just waiting to be built. Not long now! Like many of us I started collecting material for a WWI diorama a long time ago (with an eye on the 100yr Anniversary of the start of the war which is now of course over 4-1/2 yrs ago!!!). But in reality I could only start on some minor figure mods, nothing too advanced. No fillers or primer yet. If at all an issue I could switch to the ICM French Infantry or German Sturmtuppen which I found in the stash. Looking frwd to the start of this one! I admire figure modelers. The fine detail needed to make a figure look lifelike is a real art. My eyes are no longer good enough even with a visor. We start this campaign Saturday. I'm looking forward to that! Ok fellas, starts tomorrow !! Here's my build project for this campaign. My first WW I project that I'm hoping to finish. I tried the Emhar, but never completed it. Hope to also build a suitable base and terrain to place this on once completed. Looking forward to seeing everyone's build topic and progress. 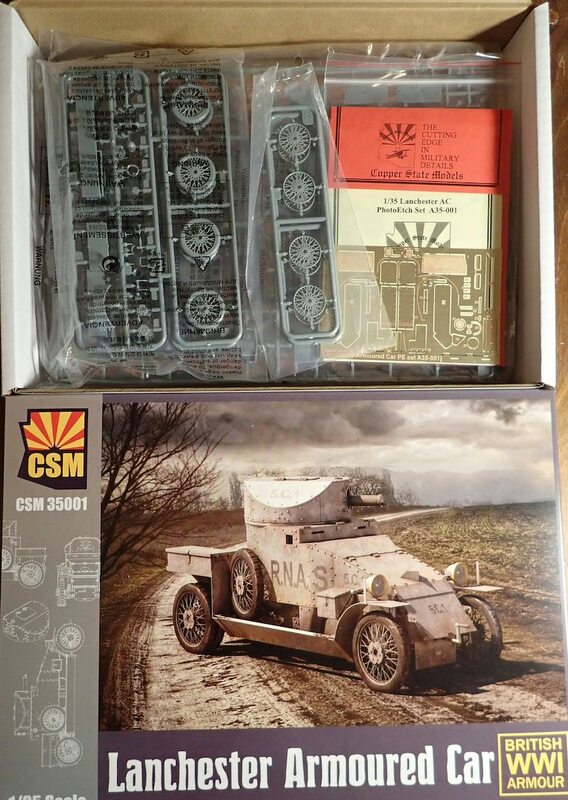 Lanchester and PE set by Copper State Models. 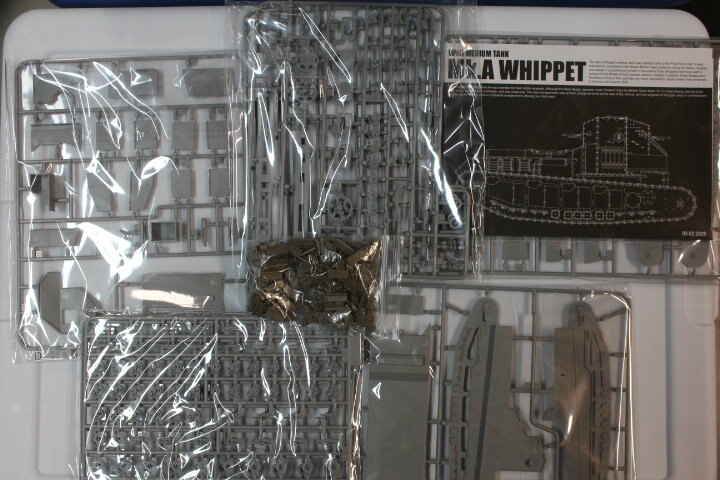 Chuck - I have one of these Whippets also and it looks good in the box. I'll look forward to see your progress. 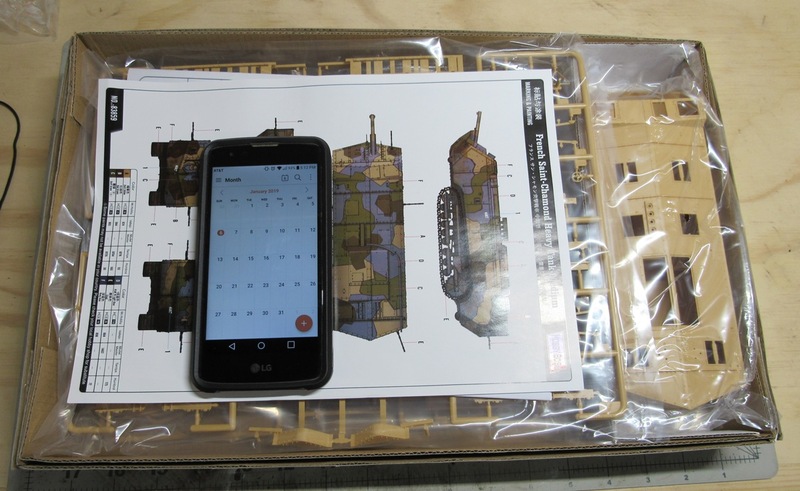 Pasi - This is a kit that is new to me. Where were they used? I love the unusual stuff! Glenn - Your build is particularly interesting to me as I have and drive regularly a 1923 Ford Model T which is very much the same as the 1917 car you are modeling. Chuck, loving that Takom Whippet tank model. I'm sure it's light years ahead of the old Emhar kit. Enjoy. Pasi, the Lanchester armor car is a very cool subject. Have fun with the project. Thanks for the words of encouragement. First time out on a WW I subject. 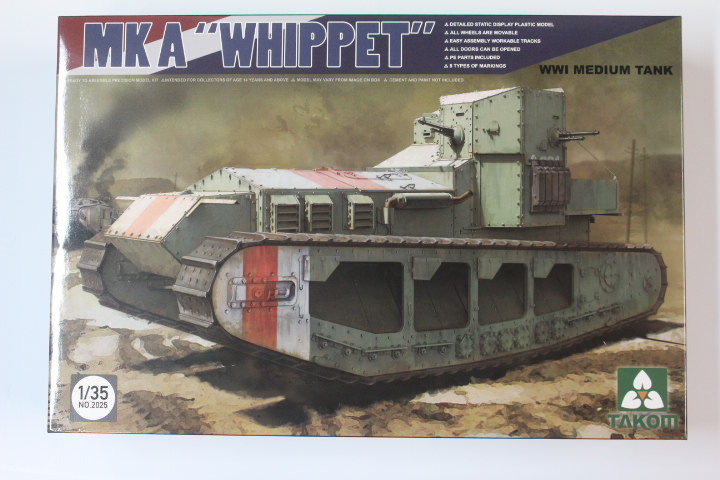 Don't know why it's taken so long, but Armorama Campaigns are the best place to dive into projects like this. Thanks Panzerman. However, I think you would have brought the Emhar kit back to the 21st Century with your detailing and painting acumen. Thanks Paul... I hope to do this great subject proud. Trying to determine how detailed to make the engine. I might add a mechanic figure working on it as they are loading the wounded. Paul, it's unknown vehicle to me as well. There are markings for one Belgian and four Royal Naval Air Service cars: one operated in Persia, one in Austria (with Russian roundels) and two unknowns. One area that gave trouble back in the day was the "timer" located in front of the camshaft between the front of the motor & the radiator. These needed routine service such as cleaning the contacts and wiping oil & dust from the inside of the case. Those that run the original style timers nowadays still need to perform these chores. I had read about the Rolls Royce armored cars operating in the desert. It would be interesting to know more about the jobs these vehicles performed. After looking over a number of kits I selected the Tamiya Mk IV. It is motorized, something I'm a bit skeptical about but the parts look great in the box. I have long wanted to build one of these tanks and am looking forward to digging into this one. This first pic shows the shrink wrap still on. I always enjoy that first opening! Promised myself that I would take a break from campaigns to concentrate on getting a few projects done, but seeing as one of those fits this why the heck not! I'll be building one or two of these figures for the campaign. Don't know which one yet but I do know it won't be the Officer. He's got a lot of piping to paint which is beyond my skills. I wasn't to hot on the idea of the motorized bits but perhaps I need to view it not as a toy but as a "dynamic model" The real thing was a moving dynamic creation and modeling the movement might be a new sort of modeling. T don't know but it might be fun. Lakota, I look forward to seeing how your figure comes out., a special skill to make them look lifelike. James, looking forward to seeing your St Chamond. I have both in my stash and curious to see how the running gear goes together. I'm in with Takoms Mk.IV Female. Not sure what I'll be doing with the tracks as I hear they're a nightmare to assemble. I might use the kits suggestion of using the track plates unless I can find a decent AM set within my budget. I already made a start attaching some of the internal parts to on hull side.